In the past, replacing scratched, clouded or yellowed plastic headlight covers was an expensive necessity in order to preserve safety. 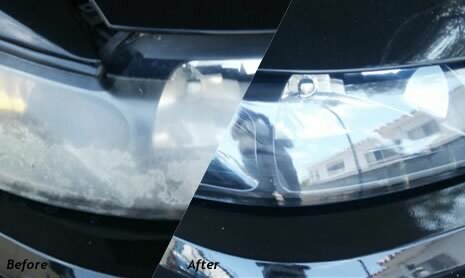 But now with 3M Headlight Lens Restoration solutions, car owners can shine and restore plastic lenses — including headlights, tail lights, fog and directional lights — to like-new condition for a fraction of the cost. Plastic surfaces are great for giving vehicles lightweight, durable components – from plastic headlight lenses to Car windshields, plastic tail lights, trailers and more. But headlamp-after these plastic components can yellow and haze with weather, sun and sand, limiting visibility and diminishing the appearance and value of the vehicle.